Language Testing International wanted to launch a product for young professionals to test their language skills specifically for career development. I worked with a digital design agency to build the brand and the user experience of ProFluent+, an e-commerce and test taking platform. 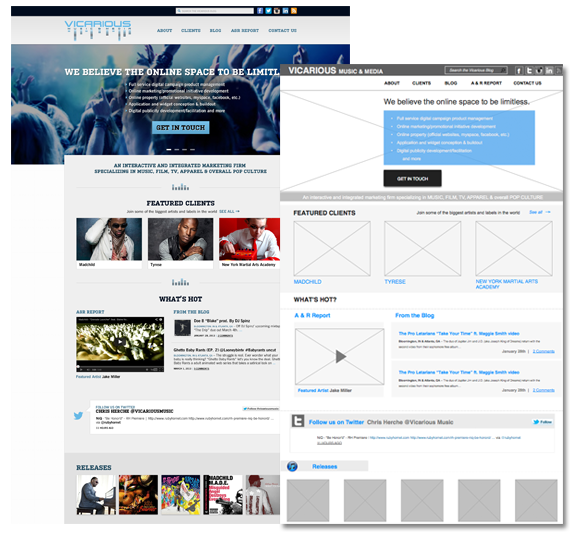 Vicarious Music & Media wanted to transform their blog into a clean, SEO-driven, easy-to-navigate user experience that highlights their services and clients and drives users to get in touch. 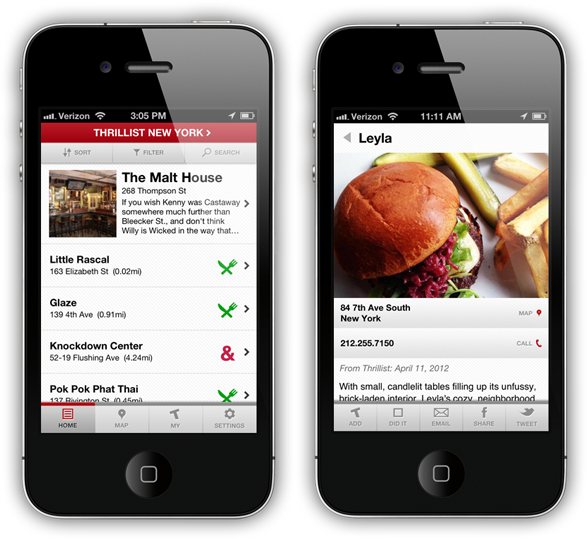 The goal of the Thrillist iPhone app redesign was to update the interface through improved user experience and visual design iterations. My responsibility was to deliver functional specifications and to manage the development process to ensure that the team was meeting requirements based on the planned iterations. I'm a UX Design Consultant with a passion for Product Management. Who doesn't love seeing a project through to the end?! 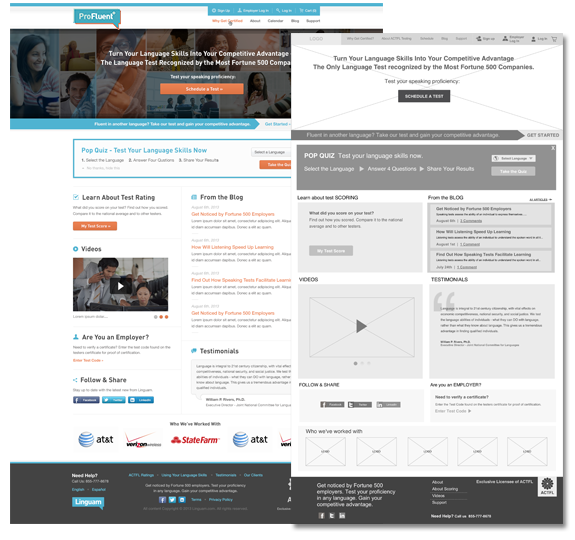 I have a Master's degree in Information Design and I spend most of my time making wireframes (wireframes are to websites as blueprints are to buildings) and writing specifications for web and mobile products. I love clean, easy-to-use products, and thoughtful UX design. My job is to identify your problem, get to know your users, understand your goal, and propose a solution based on best practices combined with my experience designing mobile and web products.